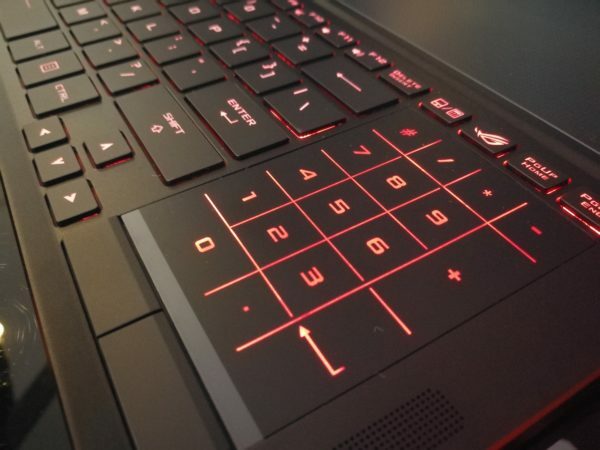 Gaming laptops that look “executive” are hard to come by. 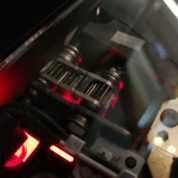 Because of the technical requirements of shoehorning a desktop graphics card into a laptop, a lot of compromises are made just so the components can be kept cool while playing games at high quality settings. 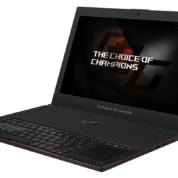 The result is either a powerful and bulky gaming laptop or a slim but underpowered machine (like an ultrabook). 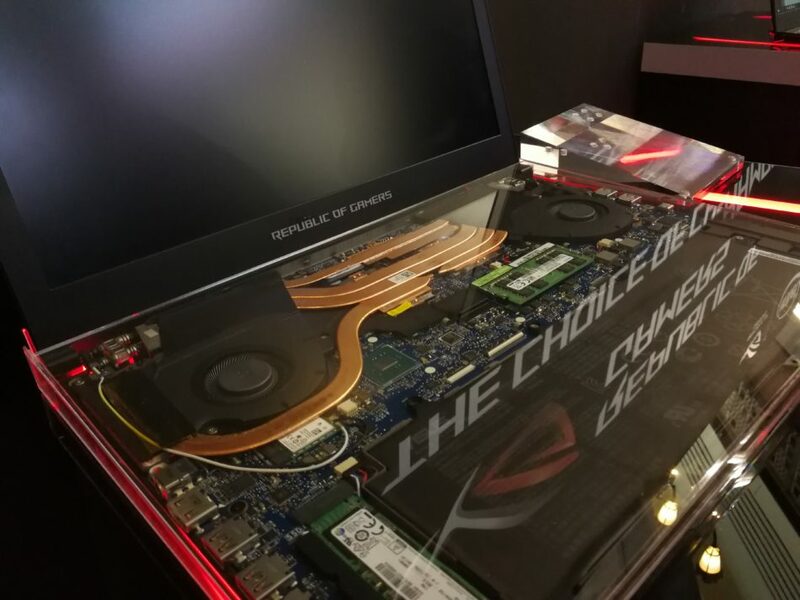 Now, enter the Asus Zephyrus GX501, a gaming machine that promises good looks and performance. If it is the first of many future gaming laptops, I am all for it. Measuring 37.9 x 26.2 x 1.69 cm and weighing 2.2kg, it is not as thin and light as ultrabooks but it is surely better looking than many gaming notebooks of the past year. To be sure, I would not want to lug around this laptop the whole day. However, it has the same top-end Nvidia GTX 1080 graphics chip as its bigger ROG G701 sibling, and is handier to carry around. 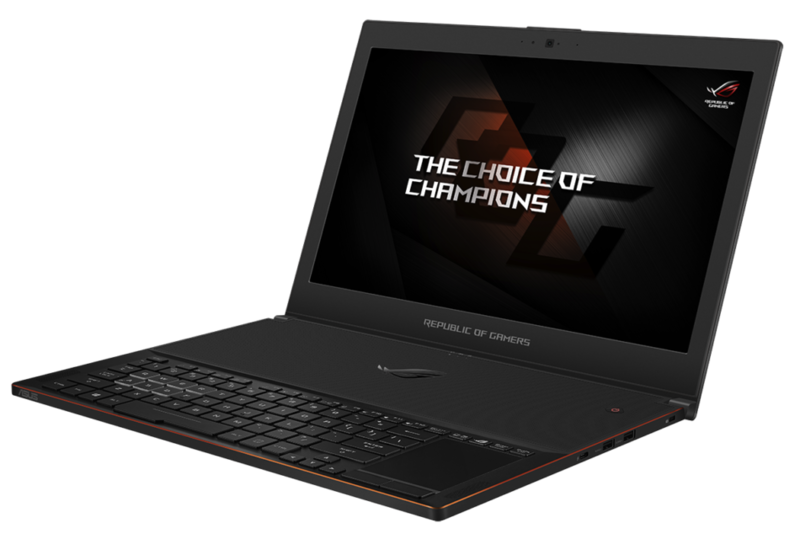 Okay, the larger ROG G701 comes with a 17.3-inch screen compared to GX501’s 15.6-inch, but it is also twice as heavy at 4.4kg. All this makes the new GX501 attractive. The size and weight reduction is thanks to Nvidia’s Max-Q approach. 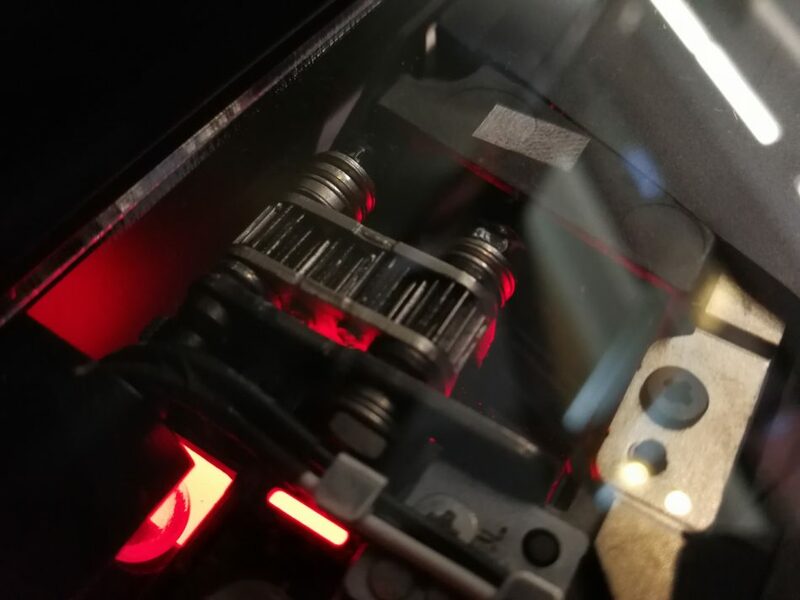 It works by tweaking the graphics card to its maximum performance potential while using the lowest power consumption possible. On top of the graphics processor tweak, the cooling system in the laptop has also undergone an overhaul. Thanks to an ingenious lever design within the chassis, the bottom of the laptop lifts the machine off the table top to allow cool air to circulate. This is done just by flipping open the laptop cover. Asus own Active Aerodynamic System also helps keep things cool. 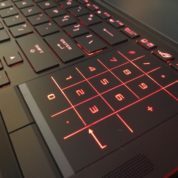 This is a unique air-channel design that requires only two powerful fans to keep the graphics and main processor from overheating by relying on efficient air flow through the laptop. All these improvements help create a smaller profile for the GX501. 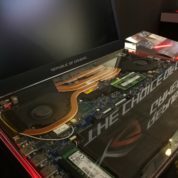 I couldn’t help comparing with Asus’ previous over-the-top ROG G752 gaming laptop that has its own sophisticated docking station with a water cooled heat sink. That machine is so huge it has its own cabin luggage to go along with it. There are some compromises, to be fair. Because of the cooling system, the keyboard is pushed to the front of the machine with no palm rest. The touchpad is now situated on the right side of the laptop where the number keypad is cleverly integrated. Avid gamers who happen to be accountants during the day will be very happy. 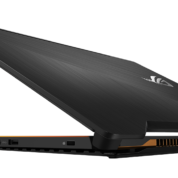 With Nvidia G-Sync display technology running at 120Hz frame rate, an Intel Core i7-7700HQ processor, a whopping 24GB of DDR4 RAMs and a 512GB solid state drive, Asus new laptop is tweaked to run at top speed. Expect it to run demanding games smoothly. 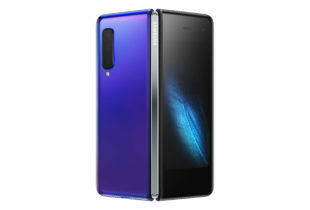 Don’t be surprised it will cost you a steep S$4,898, either. Such is the quality of our so called local reviewers and critics. Never a sentence is dedicated to any flaws or shortcomings. The battery life? Not a word. Might as well call this a form of another advertisement.